Reiki is a Japanese technique for stress reduction and relaxation that also promotes healing. Designed by our resident Reiki Master, the colors in this delicious blend represent the seven Chakras found in Indian holistic medicine. 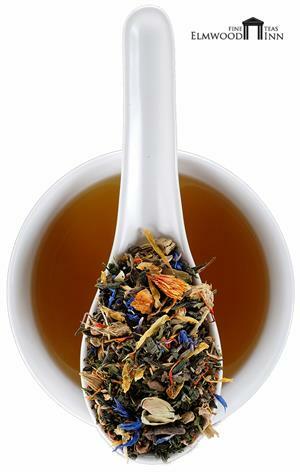 The enchanting aroma alone will invigorate you to good health! 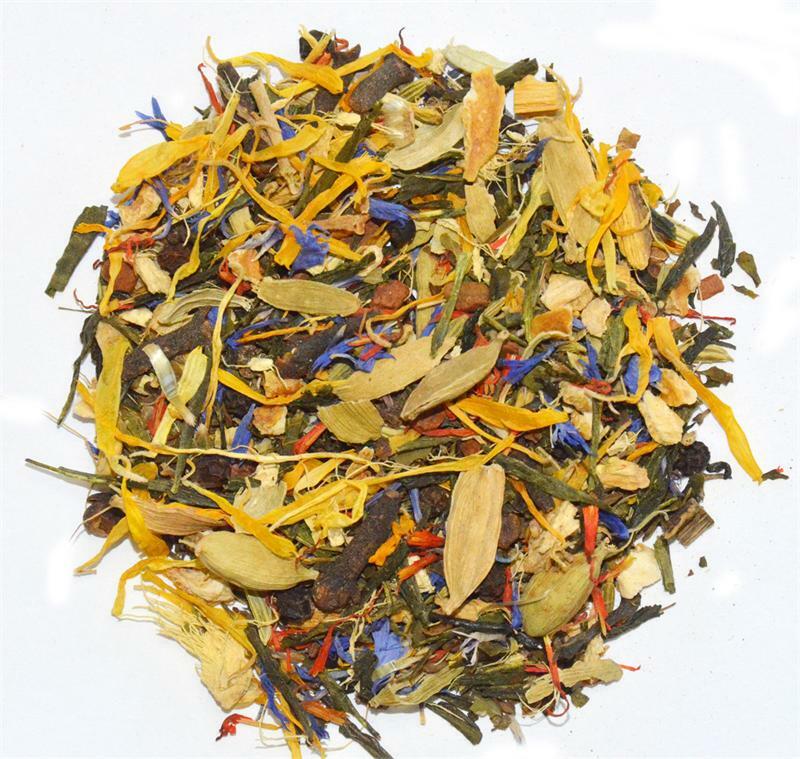 Contains healthy sencha green tea, ginger root, saffron, orange peel, fennel, clove, cardamom, cinnamon, black pepper, safflower, tulsi (holy basil) and licorice root. Very low in caffeine - 15 mg per cup.